Can studying also be fun? We are team A is for AWESOME and we think it can! 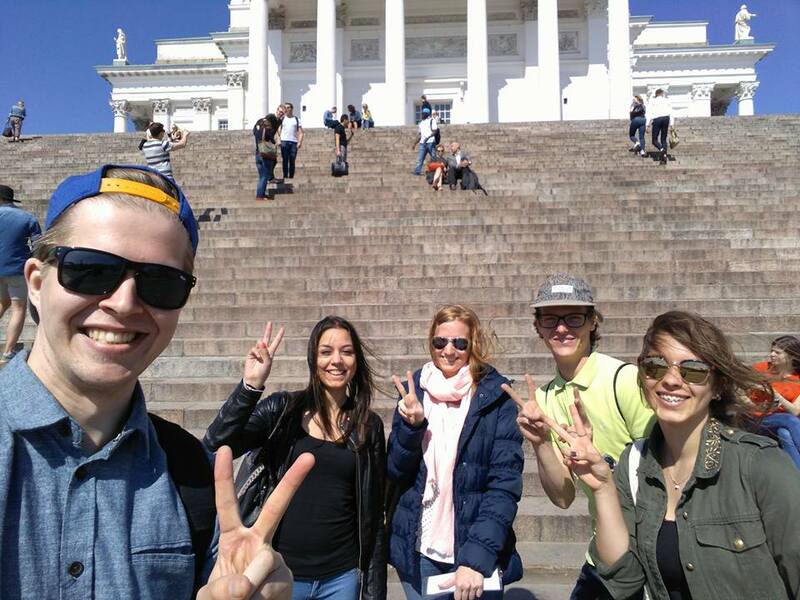 Krea Spring School 9-13 May 2016 brought together students and coaches from Haaga-Helia and partner universities to learn and have fun through workshops and excursions. The hands-on topics of the week were customer experience, inspirational storytelling, multicultural teamwork and creative processes. Our team – A is for Awesome – was the unofficial “fun team” of the 2016 Spring School. The team was filled with academic knowledge and a huge amount of creativity, but also the understanding that fun times result in a fun atmosphere and great team chemistry. And this led us to great solutions in the end. We came from different countries and from different academic backgrounds. We fit well together, but we also had our own specialties each. Krea Spring School was amazing. We enjoyed the content, the city and especially the people of Spring School. We had fun, we made new friends and we got to see a new country and experience its culture. And on top of that, we learnt a lot. Spring School 2016 was fun, memorable and easily recommendable. We hope that YOU come and experience it next year!